Heritage sites and older buildings such as churches and estates require extra attention constructing scaffolding. We are always very considered with our plans and will discuss with you every necessary detail to ensure the heritage building and its surroundings have as little disruption as possible. 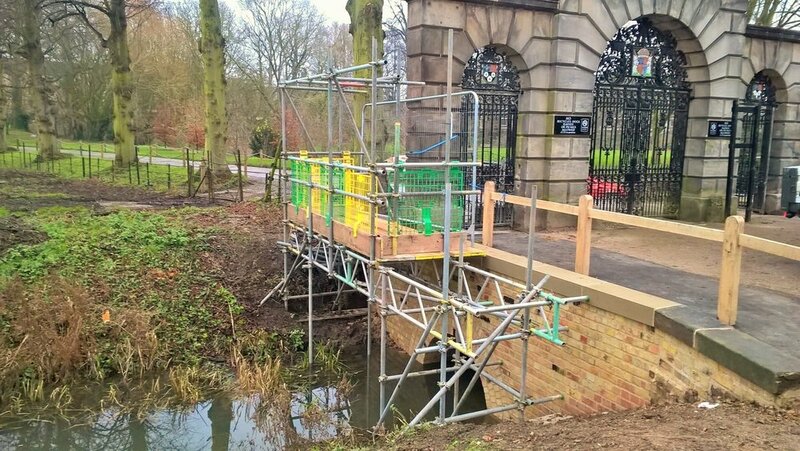 Previously we have been relied upon to work within various Cambridge colleges and their historic buildings, so we understand how important it is to preserve these buildings while carrying out scaffolding work. As with all our work at Royston Scaffolding we use the latest SMART Scaffolding technology to provide fast and accurate quotations with full breakdowns of each section of our scaffolding work. This means you know exactly what you are getting from day one. You'll be able to see exactly how your scaffolding will look before it's constructed. This is particularly good for heritage sites where you'll be able to see if anything raises particular concerns for your project. You’ll also receive a copy by email from us so you can relay the plans to anybody you need to. We'll talk you through the process and make sure you're happy with everything before going ahead. Traditionally the scaffold handover certificate (which is a legal requirement and certifies that the construction meets the requirements of the Work at Height Regulations schedule) has been provided on paper, which can lead to it getting lost! Our handovers and inspections however are provided as a digital copy and emailed to you with the appropriate signatures. This means everything is better organised and far easier to manage.